Chinese kale vegetable (Brassica oleracea var. alboglabra) is an interesting and delicious vegetable crop that originated in China. This vegetable is remarkably similar to western broccoli in appearance, and is thus known as Chinese broccoli. Chinese kale vegetable plants, which are sweeter tasting than broccoli, are high in vitamins A and C, and rich in calcium. There are two Chinese kale varieties, one with white flowers and one with yellow flowers. The white flower variety is popular and grows up to 19 inches high. The yellow flower plant only grows to about 8 inches tall. Both varieties are heat resistant and will grow through the winter in most areas. Growing Chinese broccoli plants is extremely easy. These plants are very forgiving and do well with minimal care. Since these plants grow best under cooler conditions, if you live in an exceptionally warm climate, choose slow-bolting varieties. Seeds can be planted as soon as the soil can be worked and planted throughout the summer and fall. Sow seeds ½ inch apart in rows spaced 18 inches apart, and in full sun. Seeds usually germinate in 10 to 15 days. Chinese broccoli also likes well-drained soil with plenty of organic matter. Seedlings should be thinned to one plant every 8 inches once they reach 3 inches tall. Provide water regularly, especially during dry spells. Provide plenty of mulch in the bed to help retain moisture and keep plants cool. Leafhoppers, cabbage aphids, loppers, and cutworms may become a problem. Watch plants closely for insect damage and use organic pest control if necessary. Keep the garden free of weeds to promote healthy plants as part of your regular care of Chinese broccoli. Leaves are ready to harvest in about 60-70 days. 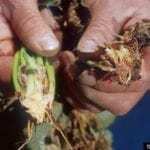 Harvest young stems and leaves when the first flowers appear. 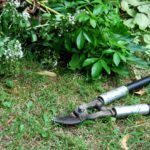 To encourage a continuous supply of leaves, pick or cut the stalks using a clean sharp knife, about 8 inches from the top of the plants. After harvesting Chinese broccoli, you can use it in stir-fry or lightly steam as you would kale. 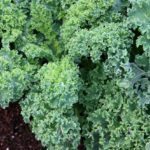 Read more articles about Chinese Kale.